In October 1946, Wilhelm Keitel was executed by hanging after being sentenced to death at the Nuremburg Trials. His road to this point was a long and controversial one, from the heady days of the surrender of France, to the eventual fall of Berlin and his subsequent arrest. There were few men better positioned to provide insight in to the minds and workings of the National Socialist Party, and of those a preciously limited amount were held accountable for their crimes. 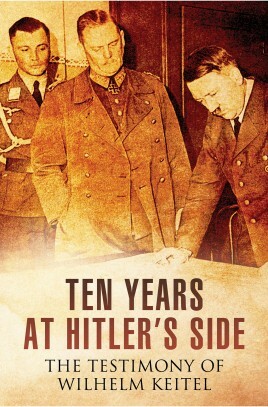 This renders the record of Keitel’s trial as published here an invaluable historical record that goes some way to providing an understanding of the near incomprehensible crimes committed during the Third Reich. Edited and introduced by esteemed historian Bob Carruthers, this unadulterated record of Wilhelm Keitel’s trial at Nuremburg is essential reading for all history enthusiasts and an important account of events that truly shook the world.